500 Steam Machine games, too? PAX East 2014 has kicked off with a big bang, and juicy bits of news are starting to trickle out of Boston. 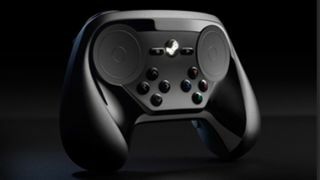 An unnamed source revealed to PC Gamer that the Steam Controllers - which previously did not have a release date - are set for an October or November launch this year. The actual Steam Machines still have a tentative release with "later this year" being the last estimate, but if the controllers do come out this fall, the boxes from the various companies shouldn't be too far behind. The source further confirmed this by also stating that Valve's Steam Controllers will be the "final piece that would precede the availability of most Steam Machines." PC Gamer's source also spilled the beans on game availability for the Steam Boxes. Apparently, we should expect around 500 games that will be playable on SteamOS by the time the hardware is out. During GDC we were able to play around with the redesigned controller and while promising, we missed the uniqueness of the center touchscreen. Regardless, we're definitely still looking forward to using all the components - Steam Machine, Controller and OS - together to see just how well Valve competes with its console counterparts.